Liz Owen, singer-songwriter from Grand Rapids, Michigan will be coming to Blessed Sacrament for a two-day Lenten Event March 10th and 11th. Liz is presenting her event entitled, “The Mercy Rule – Giving it Up to Gain it All”. The event will take place Sunday and Monday evenings at 7PM with a morning session at 9AM to 1020AM. 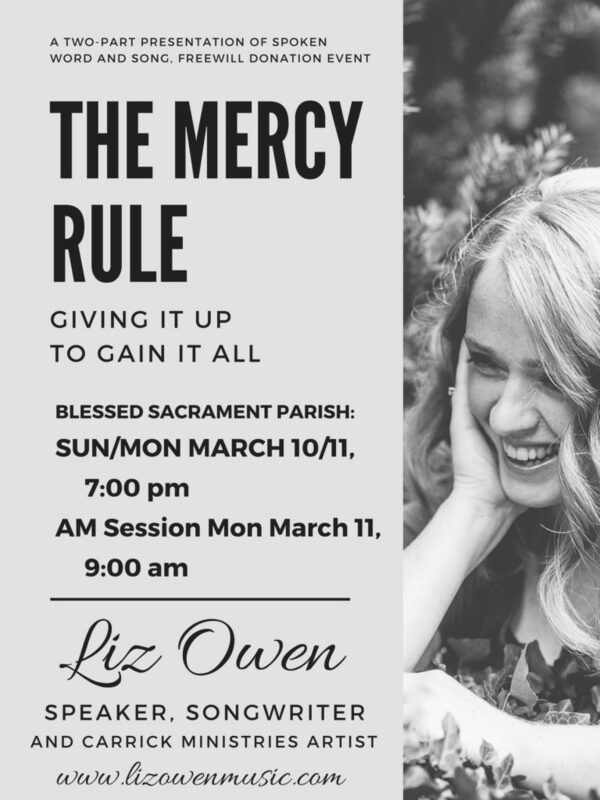 Liz Owen, a Carrick Ministries Foundation Artist is a mother, musician, and writer who will be addressing how to overcome our darkness with a lifestyle of mercy. This is a spoken word and music event sure to enlighten and encourage Catholics in this important season of Lent. 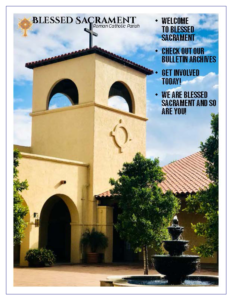 This is a free will offering event for the whole parish family, all are welcome. Liz Owen has been a featured artist on We Sing Our Faith with Julie Carrick on most EWTN Stations. She is a music liturgist at Saint Sebastian Catholic Church in Grand Rapids, MI and is in the process of recording her second project entitled, “The Lilies Know” which will be supported with the offerings from Blessed Sacrament. For more information about Liz Owen, visit her website: www.LizOwenMusic.com.